Global Women in PR Romania, the first community of professionals with over 10 years of experience in PR, announces PR Arena, its first educational initiative, part of a strategic partnership with the Journalism and Communication Sciences Faculty (FJSC) from Bucharest University. PR Arena will take place as a competition between teams of students from the licence and master programs from FJSC, with each team being asked to solve a PR brief, under the guidance of a mentor from GWPR Romania. 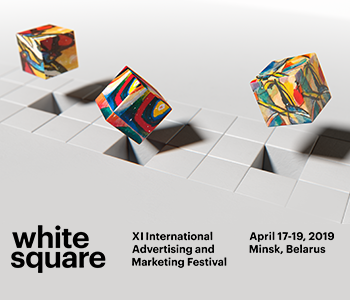 The competition will take place during 2 days, on April 18-19. The first day will be dedicated to team work together with a mentor, the challenge launched to the students being to find the most creative and efficient solutions to the brief problems. The mentors, members of GWPR with extensive experience in industry, will work together with the students so there will be a relevant and valuable know-how transfer for the participants. The second day, each team will hold a 10 minutes presentation during which they will have to “sell” the proposed solutions as professional and convincing as possible in front of a jury including FJSC and GWPR representatives. Beyond the experience accumulated working with the PR professionals, the students from the winning teams will benefit of free access to GWPR monthly programs and meetings, as part of the same strategic partnership with FJSC. The mentors of the first edition of PR Arena are part of the management in communication departments from big companies like Lidl, Raiffeisen Bank, Unicredit Bank, Orange, Coca-Cola HBC and Michelin or PR agencies like GMP PR, The Practice, Rogalski Damaschin PR or DC Communications. Launched in June 2018, GWPR Romania has over 70 members and it is the first community of women professionals in PR with over 10 years of experience. GWPR Romania aims to consolidate the reputation of the local industry, to contribute to the education of the young generation and to offer interactions with the global network of professionals. The founding members of the GWPR Romania are Lidia Solomon (Honeywell); Dana Oancea (Forum for International Communications), Irina-Ileana Ionescu (Coca-Cola Hellenic Bottling Company), Cristina Hanganu (Lidl România), Corina Vasile (Raiffeisen Bank), Ioana Mănoiu (GMP PR), Crenguta Roșu (DC Communications), Cristina Popescu (Danone), Gabriela Lungu (WINGS Creative Leadership Lab), Anca Ungureanu (UniCredit Bank), Irina Roncea (Golin), Oana Mateescu (Ursus Breweries), Ana Maria Diceanu (Brain4Strategy).